Mable Stone honeycomb panel is a structure sandwiched with aluminium plate, aluminium honeycomb core and very thin marble stone veneer. Its advantages includes light weight, limited radiation pollution, stone material saving, broader size and so on. 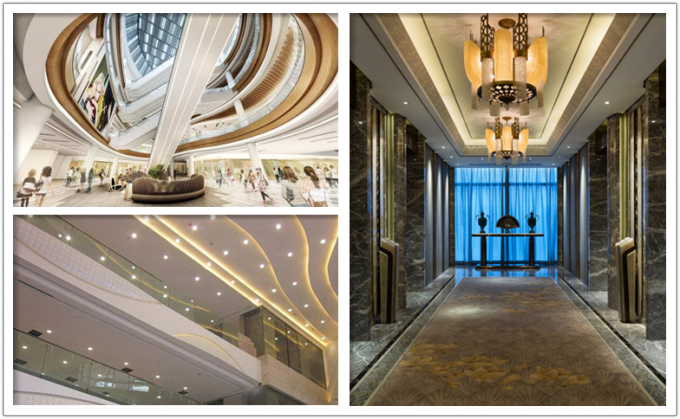 The mainly application fields are ceiling, curtain wall, indoor wall panel, floors etc, which are being more and more widely used on the decoration and renovation of the industries of construction, vehicles, ships, etc. 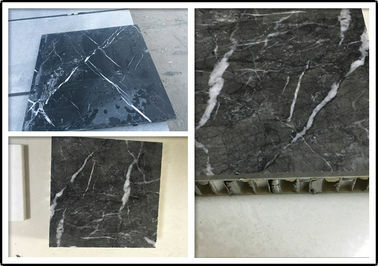 Generally, archetects and designers should be consider carefully to use the marble stone outdoors because its elements can be corroded by the acid rain lower than 5 PH value if the natural mable stone slices are directly used for the outdoor cladding decoration. However, as the purpose to show the beauty of the building and other consideration, the building requires marble stones' color and pattern. Then, marble stone honeycomb panel with edge open and stone surface protected should be the ideal options for this application. Pasia's protectvie film is developed by our our R&D team with repeated trials and improvement to make the performance approved by authorized organization and clients. The film shows excellent anti-weathering and anti-corrosion permances when exposed to rigid environment. It makes the natural marble stone surface insulated from the air and outside environment while its transparant and no color film makes the marble surface show 100% to the outside. By using high quality glue and intense pressure, we make sure the two parts are perfectly fused together to produce a product that far outperforms solid stone and other similar panels. Not only that, but also we custom design and manufacture our panels to order, so we will work with you to meet your exact specifications and design whatever type of lightweight panels which you could possible need. Our stone panels can be used in almost any type of building need—whether it be new construction or remodels, interior or exterior. Stone Mable / Granite / Limestone / Sandstone / Travetine,etc.